Few root apps have had the staying power of Titanium Backup. If you updated your Nexus device to Marshmallow and took advantage of the new SuperSU version to root, then you'll be happy to know Titanium Backup works on Android 6.0 now. For everyone else, Titanium is waiting for you when you get 6.0... eventually. Here's the full changelog for v7.2.3. The Marshmallow support is the biggest deal, but there are a few smaller tweaks too. Added initial support for Android 6.0 Marshmallow. [PRO] Added support for XML backup/restore of Wi-Fi networks that use EAP (identity + password) on Android 4.3+. Fixed FC on launch if "Greenify" Xposed module is present. Updated core Android functionality over the years has made many other root apps unnecessary, but the ability of Titanium to back up all the app data on your device is something Android still doesn't quite emulate in Android 6.0. Google has added a passive backup mechanism, but it's not really meant to be an infallible way to move data between devices. Now that Titanium is compatible, you can take care of things yourself. 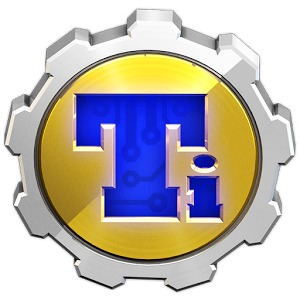 Basic Titanium functionality is free, but there's a $5.99 pro key for the full version. We've got the APK on APK Mirror as well. The UI is still dated as hell, but can it really be any other way? The ugly interface is kind of a Titanium trademark.